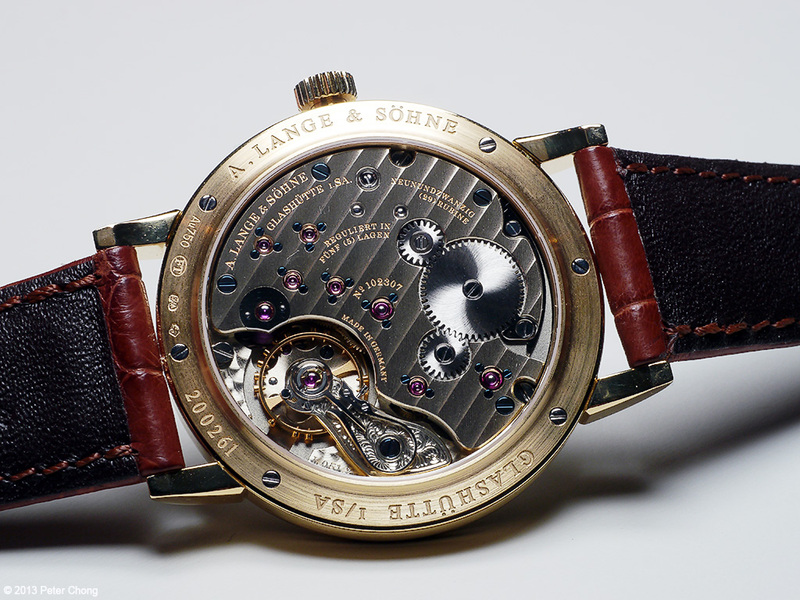 As I mentioned in Tuesday's post, Lange introduced several new movements this year. The superb and magnificent 1815 Rattrapante Perpetual Calendar, the new Grande Complication, and today I feature a refreshed 1815 Up/Down. 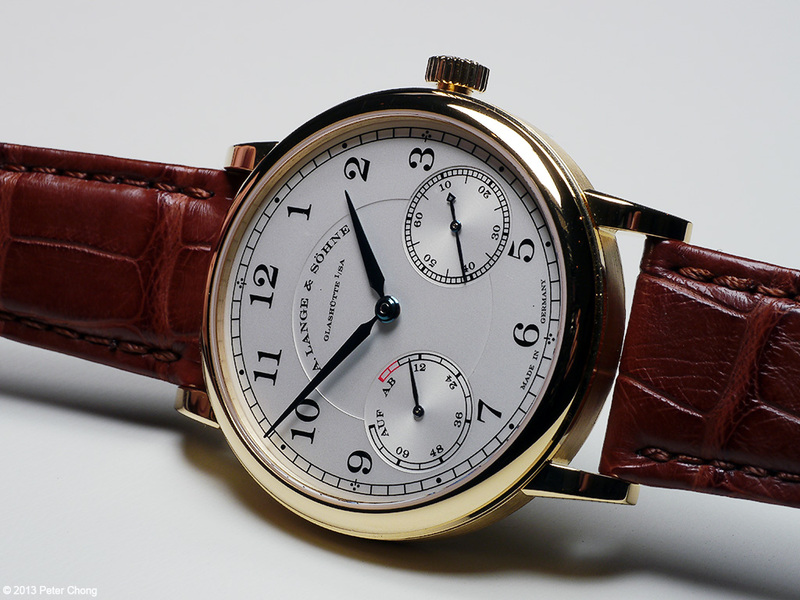 This is a reissue of an old favourite...the original 1815 Up/Down...which created a small sensation as Lange managed to squeeze in the power reserve mechanism into the same case as the regular 1815...and it was not that the regular 1815 had a lot of room to play with inside the case. The case measured then 36mm. By today's reference, a very small case size. The new Up/Down, or Auf/Ab in German is refreshed with a new movement, and a larger case size...still a rather modest 39mm, with a thickness of 8.9mm.